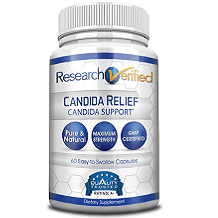 The following is a review for Bladder & Yeast Infection that will examine the facts. This product claims to be a natural treatment for urinary tract and kidney infections. It also claims to treat yeast infections and be beneficial for supporting the female endocrine system without affecting the balance of good bacteria. It also claims to gently cleanse your bladder walls and enable your body to more easily flush out wastes while supporting urinary tract cleanliness. D mannose may treat and prevent urinary tract infections by preventing bacteria such as E.coli from sticking to the walls of your bladder and naturally removing them through your urine. Pumpkin extract may treat bladder irritations, kidney infections by increasing urination which may relieve discomfort. The uva-ursi extract may reduce inflammation and bacteria in urine. Buchu extract might assist with disinfecting your urinary tract by eliminating bacteria and encouraging urine flow. Hydrangea extract also assists with increasing urine flow. Goldenseal extract can be used to help with bladder infections, menstrual problems and the reduction of vaginal swelling and pain by preventing bacteria and fungi from being present in your bladder and may also lower blood pressure. The suggested use for adults is to start by taking one capsule daily and if you do not notice results, you should increase your dose to two capsules once daily. It is slightly unusual that it is advised to increase your dosage considering that there are no indications to suggest how long this product should take to show results. There does not seem to be any possible side effects related to the use of this product, however, the product label advises you not to exceed the recommended dosage and it is cautioned not to be suitable for children or women who are pregnant or nursing. The manufacturer warns that you should discontinue use in the event of an allergic reaction regardless of this product being allergen free. This product can be purchased online from the manufacturer’s website. A container of 60 capsules will cost you $26.95. Unfortunately, there does not seem to be any discounted options available. The manufacturer offers a 100% money back refund for this product. However, it is unfortunate that this is only applicable for Canadian and U.S residents and you will only be refunded for one bottle. It is also somewhat unusual that the preferred condition of the product and the valid time space for the refund has not been suggested. 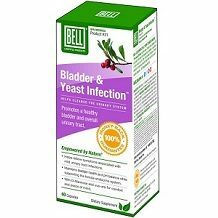 Bladder & Yeast Infection is formulated with some ingredients that may be beneficial for urinary tract and yeast infections and it also has a money back guarantee available which may suggest that this is a relatively ok product. It is disappointing that the guarantee is not available for everyone and that the exact specifications for requesting a refund are not very clear. The dosage instructions are not very clear and it is not suggested how long it should take to start showing results which can be concerning. This product may also cause allergic reactions and generally does not have any significantly superior qualities.